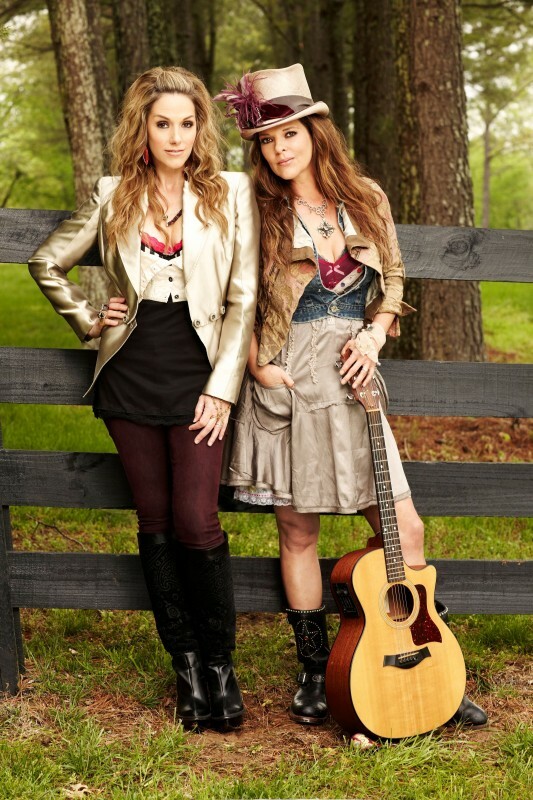 It’s been a while since Paige Logan and Heather Looney chased their dreams to Nashville. Logan came from Safford, Ariz., where she studied piano, taught herself guitar and mandolin and soaked up the sounds of her dad’s LP and 8-track collection. In 1993, she and her sister hit the road for Music City; a year later, Paige was there alone, beginning a long stretch of day jobs and determination. Meanwhile, Looney and her dad had been performing around Shreveport, La. Going solo, she relocated frequently before settling in Nashville with her husband a year after Logan’s arrival. Eventually the two crossed paths, and their 20-year friendship culminated in their debut album, Whole Lot Of Livin’, produced by Paige’s husband Mills Logan and Leigh Reynolds. Rhymetown Entertainment released the debut album in January. Get Your own Nashville Rocks T-shirt Now and Show the world dhow much you love Music City! Vocal blends distinguish this duo. They embrace vibrato as an expressive device. When they drop it for a few beats, as in the higher passages of “Far Too Long” (written by Logan and Looney), the impact is dramatic. They also avoid the upper register, concentrating on the contralto range; the result is a honeyed, rich quality that draws listeners in as if to a whisper. And they sing almost exclusively in harmony; when one breaks into a solo line and the other improvises some churchy backup on “Don’t Make Me The Reason” (Logan and Looney), the moment seems to spark from the speakers. Is there life over 40 in Country Music? You betcha. For more on North 40, visit www.CMACloseUp.com.